Gender research is appreciated for a high potential of innovation. In order to promote this scientific and societal potential also in light of the new governance of science, a basic starting point is the investigation of organisational cultures and structures in academia. Which meaning is from scientific, organisational (cultural and structural) and bureaucratic perspectives ascribed to gender research in current transformations of the science system, produced by the new governance? Which support and promotion do the different science political stakeholders give to gender research? Where are starting points to deepen and broaden the promotion of gender research under conditions of the new governance? 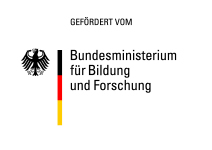 The research project has from 2013 until 2016 been funded by the Federal Ministry of Education and Research (BMBF) with 532.167,60 € (promotional reference 01FP1306) and conducted at the University of Hildesheim.